Pour water into a saucepan, add sugar, lime juice and lime zest, cinnamon quills and star anise. Bring to the boil and simmer for 5 minutes. 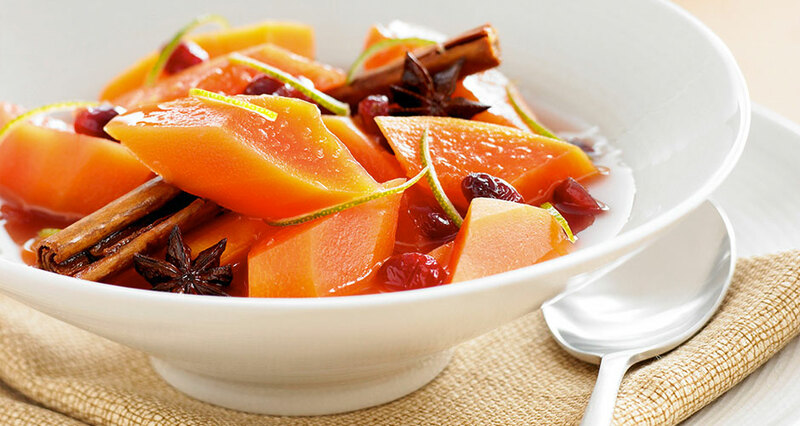 Add red papaya and cranberries, bring back to the boil and simmer for a further 2-3 minutes. Can be eaten with cereal for breakfast or with ice cream for dessert.